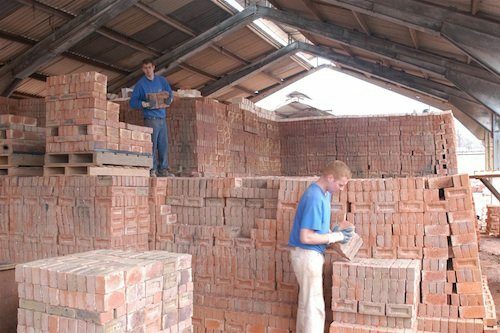 Leicestershire-based brick marker Ibstock is trading “as anticipated” as the company releases an update for the year ended 31 December 2018. According to a trading update released this week, adjusted EBITDA for the year is “expected to be in line with expectations”. The company added that the treading results of Glen-Gery – its US brick manufacturing operation it disposed of in November 2018 – will be excluded from adjusted EBITDA. Revenues from its UK clay and concrete products were up 8% for the full year compared to 2017 – reflecting both price and volume growth, primarily in our clay brick business. Ibstock said it expects to “report low single digit growth in adjusted EBITDA for the UK business, which is in line with expectations”. The enhanced maintenance programme in the Group’s UK brick business continues to “progress well”. It also expects to report £9.5 million of profit on disposal of surplus property during the year – also excluded from adjusted EBITDA. Previous articleThe Dragon Boat Challenge returns to Nottingham – Enter your team today!